Following the tragedy in Grenfell, residents are rightfully concerned about fire safety, particularly in blocks of flats. Brent has been in regular contact with the Royal Borough of Kensington and Chelsea (RBKC) to offer assistance. So far Brent has provided staff to assist RBKC at their Borough Emergency Control Centre at Kensington Town Hall. Our local authority liaison officers and rest centre managers are also on standby and are ready to respond should they be required. We have also offered our employee assistance programme to London Fire Brigade staff to help support them through personal mental health issues they will inevitably be experiencing following the tragedy. As part of the recovery operation we have asked whether housing in Brent with be required by Grenfell Tower residents. We understand that RBKC’s strong preference is to rehouse Grenfell Tower residents within their borough wherever possible but have said they will be in touch with us next week to discuss this further. A ‘Talkback’ event was held with tenants and leaseholders on Wednesday evening (June 14) where officers from BHP and the council were also able to directly answer questions from tenants and leaseholders about fire safety. Understandably, some Brent residents living in high rise blocks have been contacting BHP and the Council for information and reassurance regarding their homes. BHP has been responding to these queries and information is available on the BHP website. Any members who have specific questions from themselves or from residents should email them tobhp.compliance@bhphousing.co.uk who will respond as soon as possible. – We have 37 high-rise (5 storeys or more) blocks in Brent, all of which are 100% fire risk assessment compliant. – We have never directly used Rydon Limited or Harley Facades Limited, the contractors who worked on Grenfell Tower. We do not yet know about other registered providers and we are seeking this information from them. – Since the incident began the Compliance and Risk team at Brent Housing Partnership have been responding to questions about fire management policies and processes and the steps that have been taken over recent years to reduce the risk of fires in council run blocks. – More than £10million has been spent over the past 4 years on measures to reduce the risk of fires in council run properties. Estate inspectors and compliance experts have been mobilised to provide additional re-checks of communal areas and exit routes to remove any remaining rubbish, bicycles and other hazards which could hinder access and exit in an emergency. They are also doing extra checks of the blocks with cladding to ensure all remedial works, which form part of business as usual, are actioned as a priority, ahead of the prescribed schedule. Finally, it was announced yesterday (June 15) that there will be a full public inquiry into the Grenfell Tower fire to get a full understanding of went so wrong and how similar tragedies can be prevented in the future. The Government has also announced an emergency review into fire safety in tower blocks. Once the findings are known we will of-course review and, if needed, amend our fire management processes and strategy accordingly. Are there any sites in your local area which are vacant, rundown or underused? Through redevelopment could they make a more positive contribution to your area? You can submit sites online. The deadline for submitting sites is 6th April 2017. Brent Council is supporting the Dry January Campaign run by Alcohol Concern working with Public Health England – encouraging people to give up alcohol for January and promoting the health benefits of doing so. Giving the body a break from drinking alcohol will see a number of benefits including weight loss, improved sleep, improved energy levels as well as saving money. In Brent we have services available for people who are concerned about their drinking. B3 offer a confidential and supportive peer to peer drop in service each Saturday, 12noon- 5pm and Sunday 1pm-4pm for people with substance issues. The drop in session is held at 97 Cobbold Road, NW10. Find out more on their website. As part of its support, Brent will share information on its communications channels about Dry January and also signposting people to B3 for support. Working with B3, Brent will be holding an information stall on Thursday, 14 January where B3 will be talking to people about the amount of units in different types of alcoholic drinks, offering support and advice available for people that feel they drink too much as well as discussing alternatives to alcohol. We are looking for 12 -20 people to take part a face-to face focus group for Dudden Hill ward. 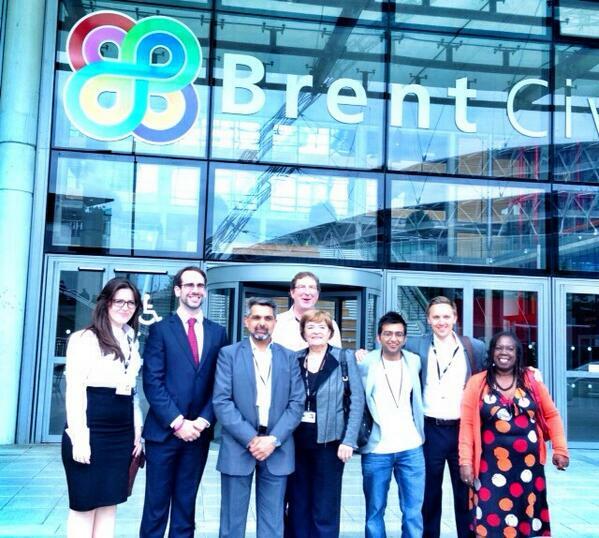 At the Council AGM on Wednesday, the Brent Council Leadership team was confirmed. The cabinet has been cut down by 20% to just 8 now. With the Council faced with number reductions at Director and staff level, it was only right that this was reviewed too. Cllr Kana Neeharathan will be the Mayor of Brent and Cllr Lesley Jones will serve as Deputy Mayor. Chair of Scrutiny is Cllr Aslam Choudry and Cllr Sarah Marquis will now Chair the Planning Committee. The Tories probably stole the show on the night as it emerged that they would split into two political parties – the Brondesbury Park Conservative Group and the Conservative Party. It seems bizarre as it was only a couple of weeks ago that residents in Brondesbury Park voted in three Conservative Councillors.